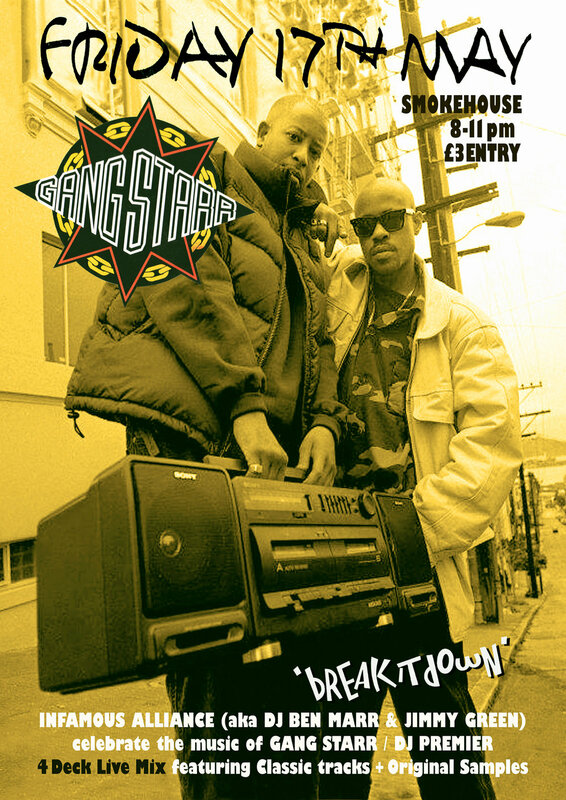 Infamous Alliance (aka DJ Ben Marr & Jimmy Green) return to the Smokehouse presenting an unmissable 'Break-it-Down', celebrating legendary rap duo GANG STARR! With an unmatched level of consistency, emcee GURU, alongside prolific beatmaker DJ PREMIER, were the epitome of sample-based boom-bap. Mixing live on the night over 4 decks, you'll hear 3 Hours of classic GANG STARR tracks, plus a healthy amount of DJ PREMIER productions and original samples.